Used Microsoft Picture It to create the title. The football was made using the Journaling Genie CD. I don't recall who makes the stickers. 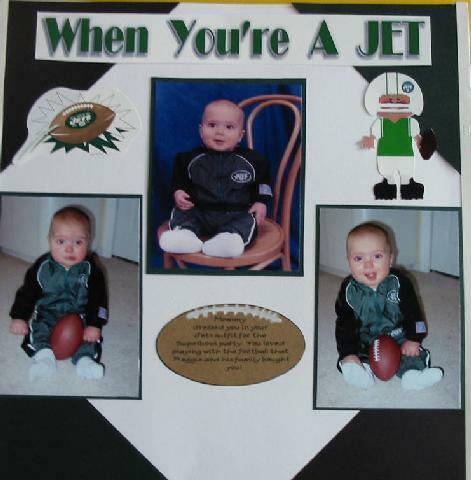 I scanned a the football player sticker and colored it in using Microsoft Paint and added the Jets logo to the helmet.